I finally got around to getting this look on here. Spring is officially here, which means I can wear white jeans on repeat. 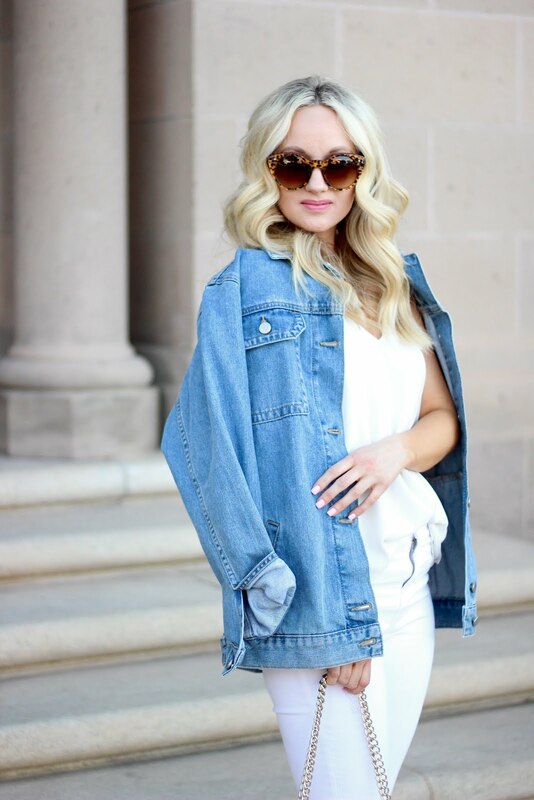 White denim are a must for Spring and I love pairing it with anything and everything. Even an all white outfit is so chic. Then throw on a denim jacket for some color.